I have wanted to pick up a spool gun for my hobart handler ...so i can weld aluminum but i have not had the need yet. Spent most of the summer on home improvements, getting back on the cars. 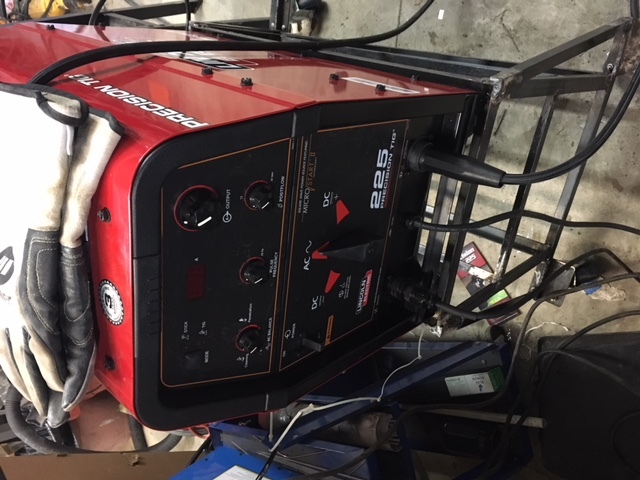 Got the precision tig 225, definitely a far better welder than anything I’ve tried. It will be me that holds it back. 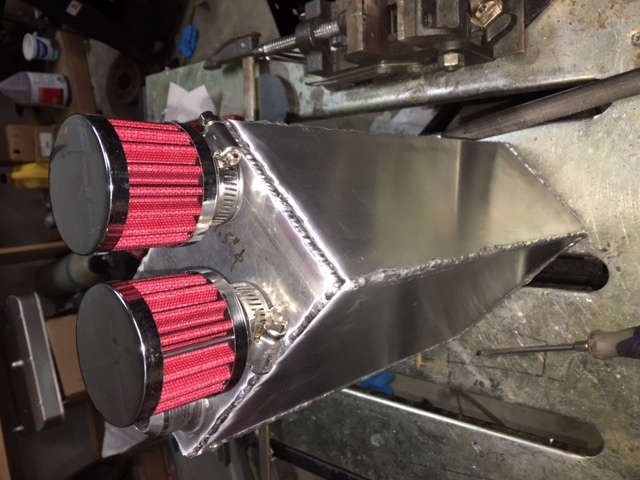 My first alum project was the valve covers. I think I made every rookie mistake possible, except melting them down or blowing big holes. 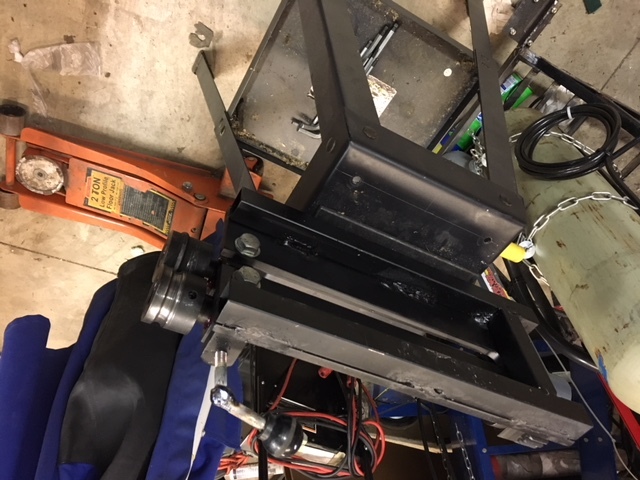 Fittings are welded on the inside. Probably more, but those were big. Am making puke tanks now, so decided to practice! A few more and I’ll be good to go. Last edited by rtj; 09-02-2018 at 03:37 PM.. Frozen boost intercooler piping is pretty reasonable. How much longer with all these tarrifs is anyone’s guess. 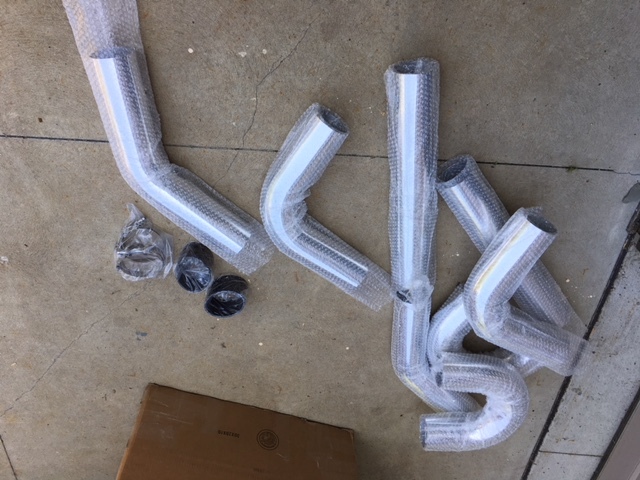 I may try to make up some lightweight side pipe mufflers with similar material after the Camaro is running. 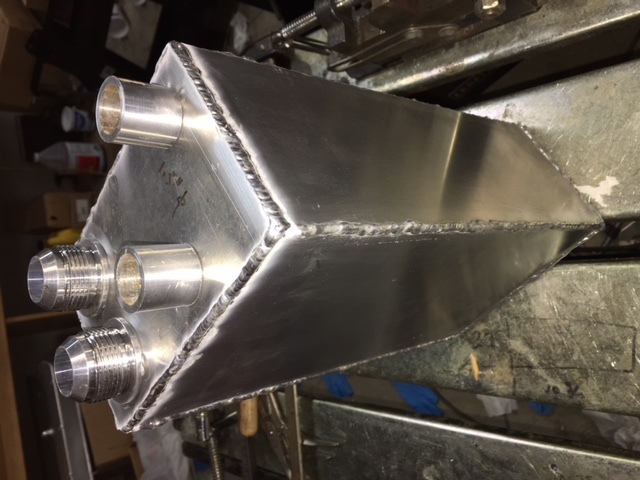 Last edited by rtj; 09-02-2018 at 03:42 PM..
for alloy welding? lot of practice, being steady and some swearing involved !! Yeah, I watched a lot of how-to vids and “propping” seems to be the way to go. It took forever to get all my contamination sources fixed. I guess I had used oily rags with my old acetone container and it was no good for cleaning alum. Definitely hoping to improve, that opens up the possibility of projects like your alum cooling ducts. I never got good at the aluminum. The slightest bit of contamination will build an oxide layer that takes more heat to melt than the aluminum below, then the next thing you know, you have a blowout. I need to practice again. I agree on shoes over boots, anything you can do to get better feel and control when you are learning is a step in the right direction. The slightest bit of contamination will build an oxide layer that takes more heat to melt than the aluminum below, then the next thing you know, you have a blowout. Yes, it took me for ever to realize my rods were a bit oily and had an oxide layer. They looked clean and shiny. I found cutting scotch brite pads into 1” squares is a good way to always have a clean pad. About half done on my tank now. 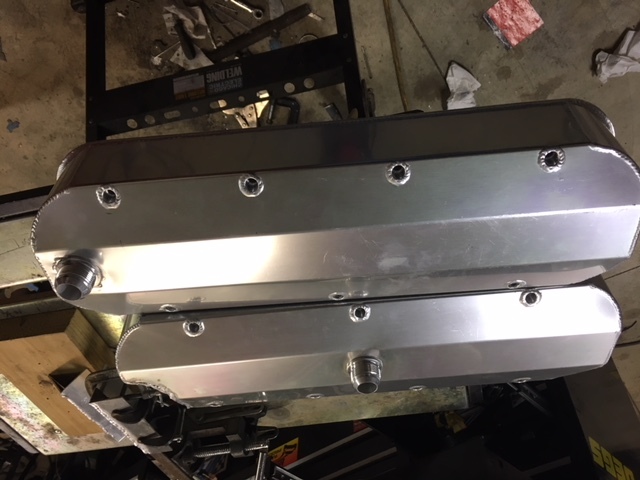 Next up, belt guard or intercooler piping. I’ve decided on the 1300hp core, but want more practice. Got some tubing bead rolled. And, will start welding it up. Ordering intercooler now I’m feeling more confident. Will post some pics soon.